The Ford Edge is a great choice for those who want to be noticed in the crowd. Its attractive design with all-new front and rear styling do not leave anyone indifferent. The Edge can comfortably accommodate your family and you will all enjoy a relaxing drive with a plenty of family-friendly tech feature in Villa Park IL. On the other side, Edge is able to provide you with a dynamic, fun driving on the open road with your friends. You will love its controlled ride, large cargo, and excellent fuel efficiency. Edge is midsize SUV that can meet the needs of even the most demanding customers. 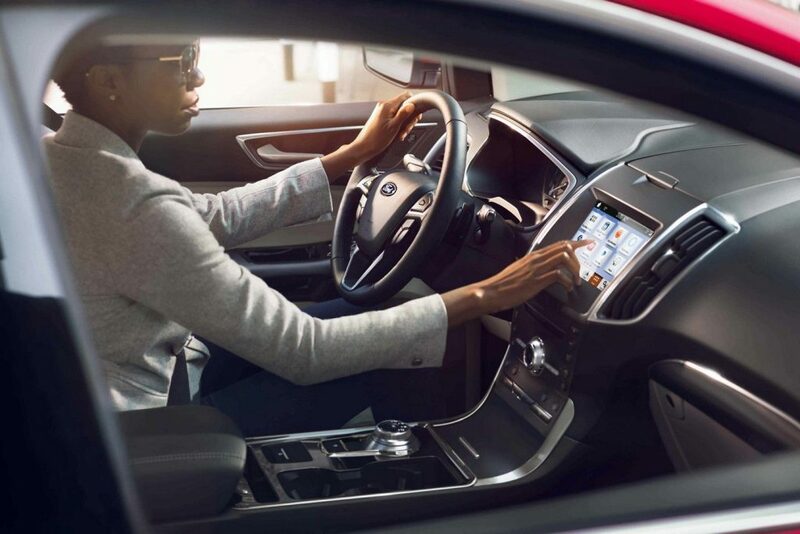 If you want to try the new Edge on the streets of Villa Park, IL, call Roesch Ford and schedule your test drive today. 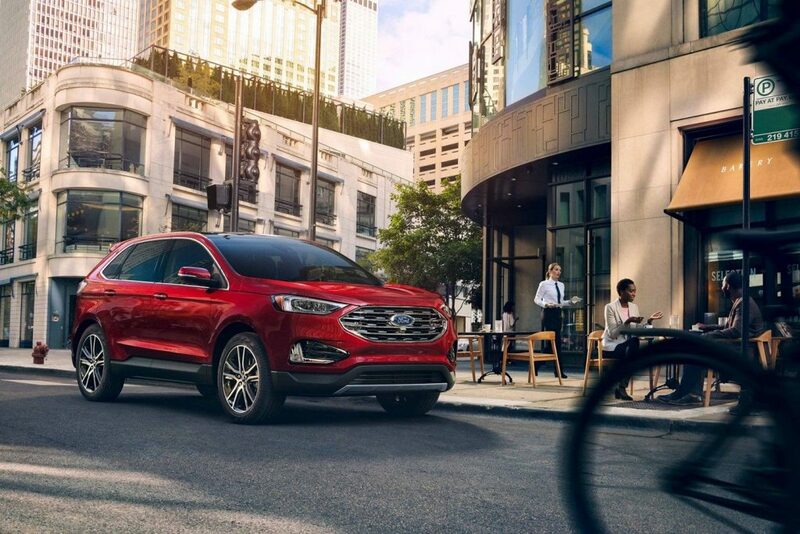 There are four basic trim levels (SE, SEL, TITANIUM, & ST) of the New Ford Edge and each trim level has further two different styles powered by 2.0L I-4 engine which produces 250 horsepower except ST.
ST has only one style which is powered by 2.7L V-6 engine to produce 335 horsepower. 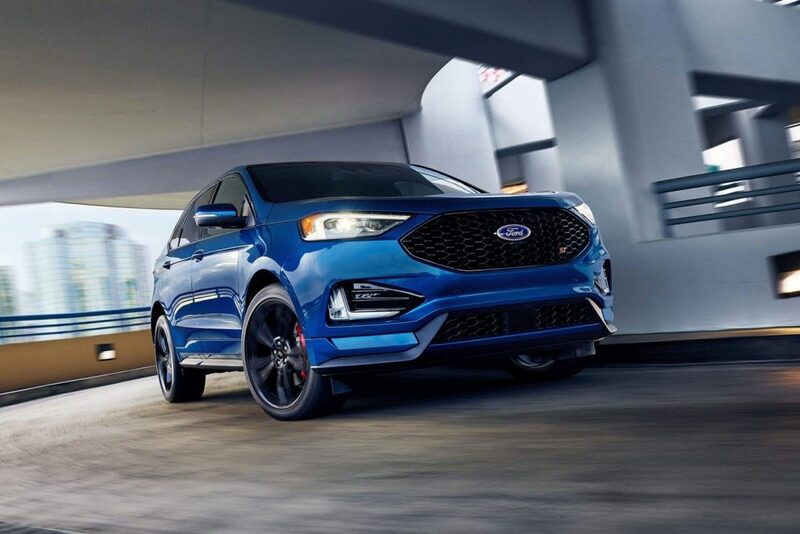 The new Edge comes with a lot of improvements, and one of the most significant is the replacement of last year’s Edge Sport with the new ST trim which is the performance model. There is also a new powerful V6 engine that delivers a lot of power and provides a good quality ride. It has accurate steering and remarkably controlled handling with impressive braking. The New Edge will provide you with incredibly fun and dynamic driving experience on the streets of Villa Park, IL. The 2019 Ford Edge comes with seats for five passengers and all are adults friendly. Even in the rear seats, there is enough room to stretch and relax, and additional driving pleasure will provide a quiet cab that is well isolated from the outside noise. The cabin is full of attractive surfaces and quality materials and will give you a sense of luxury. The new Edge offers good cargo space with the wide opening and you will especially love the Easy Fold button that quickly folds flat and provide more space. The new Ford Edge is a perfectly safe and reliable car. On all crash tests, it earned the highest ratings including frontal crash and side crash simulations. Also, for even greater road safety, the Edge has added a lot of standard and available driver and safety assists features. 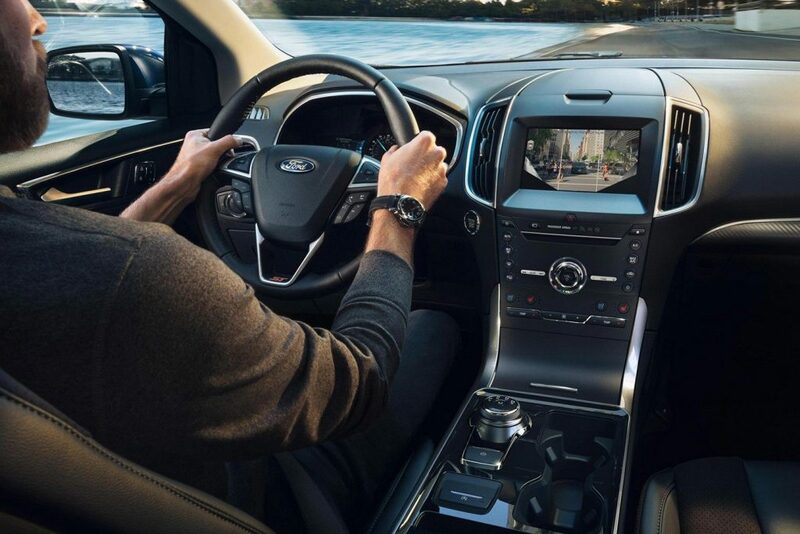 New 2019 Ford Edge comes with greatly improved tech features and added some more on the list of standard features. An excellent user-friendly infotainment system with a large touchscreen allows a number of useful apps and functions. It also comes with smartphone integration, lots of customization options, family-friendly features and understands voice commands. Why Buy From Roesch Ford Serving Villa Park, IL? If you want to feel all the magic of buying a new Ford, then there is no better place than Roesch Ford. We are close to Villa Park and we offer a wide range of new and used Ford, so whether you want a car, SUV, or a truck, you will definitely find the car of your dreams here. We will continue to take care of your vehicle after purchase, as our experienced technicians are ready to take care of all your Ford needs from regular maintenance, through replacement parts to all kinds of repairs. Roesch Ford is looking forward to serving Villa Park, IL, so visit us and see for yourself why all Ford fans choose us for their purchase.